You have been selected for a "secret mission"! We are trying to learn as much as we can about Ancient Egypt for our Social Studies class. We have just discovered a time machine and we have selected you to travel back in time to retrieve as much information about Ancient Egypt as possible! There is only one catch! The time machine that you are using will automatically bring you back to year 2001 in two weeks (November 30), so you have to use your time in Ancient Egypt wisely! Gather as much information as you can in the computer lab! There is no time to waste!! You will create a one page typed double-spaced or two page written (every other line) report based on one particular topic on life in Ancient Egypt (typing is preferred if possible). The report is due on Friday, November 30, 2001. You will have two periods to work on the project during class (computer) time. These two periods should be used for research on the internet and for putting your research into report form. It is expected that you will do some work on the report at home if you need the extra time. On the day that you hand in your report, you will include your "Web Site Resource Sheet" (which lists all of the web sites that you have used in researching your paper), along with your "Research Questions" sheet. Both sheets will be provided to you before you start your assignment. You should visit at least FOUR web sites. If you can visit more web sites - GREAT! Remember: Your mark will reflect the effort that you put into this!! Creativity is encouraged! If you wish to draw pictures or illustrate your paper in a creative way, please feel free! However, the quality of your written work should not be compromised for the drawings etc. Any drawings or extras are to be included on a separate piece of paper and stapled to your written report. NOTE: Before handing in your final copy, be sure to edit your final draft and check for spelling and grammar. This will be taken into account when grading your paper. 1. Read over tips and instructions for using the Internet. 2. Look at the format that your research paper should follow. You will use this as a guide for when you start to put your paper together. 3. Once a topic has been assigned to you, click on the link(s) below it to gather information about that topic. 4. 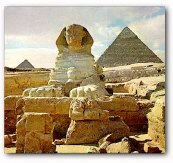 If you have been unable to find enough information or if you want to do some further research to improve your report, go to the "Exploring Egypt" web site (http://library.thinkquest.org/J0113278/) that we looked at earlier in class and try some of the links that are provided there. 5. As you are doing your research, remember to write down the web sites that you are using on your resources sheet! You will be asked to hand this in with your final report - so don't forget!! 6. After visiting at least four sites and gathering as much information as you can about your particular topic, start putting your report together. It is recommended that you write a rough copy first, edit it and then type or write a good copy to be handed in. Typing is preferred if possible. The report must be written with complete sentences, proper punctuation, grammar and spelling! Don't forget to edit your work BEFORE you hand in your final copy!! 7. Remember - this research report MUST be in your own words!!! Don't just copy down what's in the web site! Plagiarism will not be acceptable! 1. When you are on a site and need to return to a previous page use the BACK button. 2. If you accidentally end up on a site that is inappropriate, shut down the computer and raise your hand for help. You are expected to use the Internet for research purposes ONLY! 3. Look for other links (highlighted words) in the internet sites that could provide you with more useful information on your topic. Many of the sites include links to more information. 4. If you have any questions about how to navigate your way through the various web sites that you will be using, please raise your hand and I'll be happy to assist you! Don't be afraid to ask! The introduction should state your topic. What are you researching? What aspects of this topic will you be addressing? Whoever reads your paper should know exactly what you are going to report on by reading your introductory paragraph. Try to be as specific as possible. For example: This research paper will take a close look at the pyramids of Giza. It will consider theories on how and when they were built, what they were used for and why they were important to the Egyptians. The body of your research paper will be the bulk of your assignment. Using complete sentences and paragraphs, you will discuss what you have found through your research. All of the topics that you mentioned in your introduction should be mentioned here. Each paragraph should report on one area of your chosen topic. For example, if we were doing a paper on the pyramids of Giza (as stated above), one paragraph would consider theories on how and when the pyramids were built. The second paragraph would consider what they were used for and the third paragraph would consider why they were important to the Egyptians. "In conclusion, the Pyramids were an important archeological find because... By studying the Pyramids, we can learn allot about life in ancient Egypt such as... etc.)." The conclusion should highlight what you believe are the most important points of your research. In order to make your report informative, try to answer as many of the following questions as you can. Use the Research Questions sheet given to you to write down the answers. Please remember that these questions are GUIDELINES to help you with your research, so do not worry about answering them in order. You don't even have to answer every question! Not every question will pertain to your topic! They are only provided to help you gather information about your topic. 2. When was this finding discovered? 3. What time period does my topic date back to? When was this built or used by the Egyptians? 4. Who was involved? What did they do? important to the Egyptians? What was it used for? How did the Egyptians use this?). 6. What was remarkable about this topic? What did you find interesting about it? 7. Other interesting facts about your topic. On the list below find your topic. Click on the site below it to begin your research. After using the site indicated, the resources section also has some other ideas for finding more information on your topic.  Identify major early civilizations (Egyptian).  Demonstrate an understanding of the basic features of early civilizations.  Demonstrate an understanding of the inter-relationships between early civilizations and the environment (e.g. with respect to food, shelter, clothing, cultural practices).  Demonstrate an understanding of the nature of governments and of the class structures (daily life).  Demonstrate an understanding of some of the values and beliefs on which life in early civilizations was based (e.g. gods and goddesses in Ancient Egypt).  Identify and compare design and technology in early civilizations (e.g. jewelry, pottery, the pyramids, buildings, food etc. in ancient Egypt).  Use appropriate vocabulary (e.g. culture, civilization, technology) to describe their inquiries and observations.  Learn how to formulate questions to serve as a guide to gathering information about early civilizations.  Locate relevant information (e.g. the internet).  Communicate information about early civilizations using written notes.  Organize information to convey a central idea, using well-developed paragraphs that focus on a main idea and give some relevant supporting details.  revise and edit their work focusing on content, organization and appropriateness of vocabulary for audience.  Proofread and correct their final drafts, focusing on grammar, punctuation and spelling. - Research project shows an understanding of a few of the basic concepts involving the specific topic chosen for Ancient Egypt. - Research project shows understanding of some of the basic concepts involving the specific topic chosen for Ancient Egypt. - Research project shows understanding of most of the basic concepts involving the specific topic chosen for Ancient Egypt. - Research project shows understanding of all of the basic concepts involving the specific topic chosen for Ancient Egypt. - Student rarely communicates with clarity and precision. - Student sometimes communicates with clarity and precision. - Student communicates with clarity and precision. - Student consistently communicates with clarity and precision. - Student rarely uses appropriate terminology, vocabulary and symbols. - Student sometimes uses appropriate terminology, vocabulary and symbols. - Student usually uses appropriate terminology, vocabulary and symbols. - Student consistently uses appropriate terminology, vocabulary and symbols. - Student applies few of the required skills and strategies in completing their research and writing their paper. - Student applies some of the required skills and strategies in completing their research and writing their paper. - Student applies most of the required skills and strategies in completing their research and writing their paper. - Student applies most of the required skills and strategies in completing their research and writing their paper. This lesson will teach students how to carry out a research project using Internet resources. They will learn about Ancient Egypt through their own research. They will also learn how to use basic research questions as a guide to creating a report. A special thanks to Mr. Mamo for giving me the opportunity to try this "Ancient Egypt WebQuest" with his grade 5 class.